In this contact lens reviews, you’ll learn how contact lenses work, their pros and cons, and where you can get one. If you need vision correction but don’t want to undergo LASIK surgery, contact lenses are a good option for you. 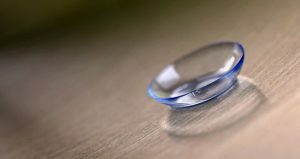 Contacts lenses are able to fit a wide spectrum of patients. Most importantly, they often come in different styles and usage that finding the one that’ll suit you is easy. Before you can select the right one though, you need to understand some basics. Contact lenses have different wearing times. To get the right one, you need to meet your doctor for an eye exam. Some you can wear daily and others you can wear for up to seven days consecutively, without removal. These are the extended wears that include the 2-week contacts and monthly contact lenses. 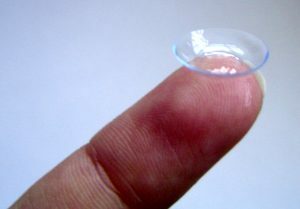 When wearing contact lenses, you also need to adhere to the replacement requirements of the lens you are wearing. Frequent replacement lenses (these are lenses you stop using at the end of every month or quarterly). 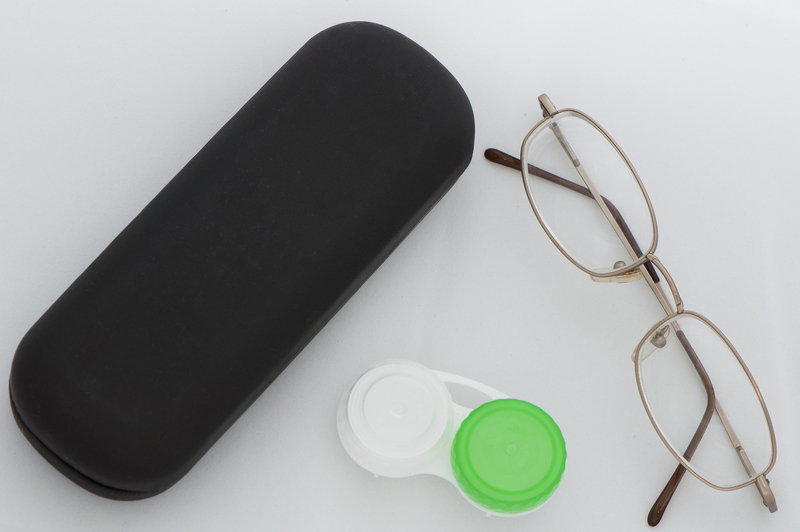 Contact lenses often contain different materials that you should learn to pick the right one. Hydrogel lenses are often referred to as soft lenses. 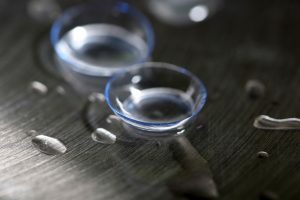 These lenses contain hydrogel – a water-like material – as such the name hydrogel lenses. Hydrogels are silky, thin, and flexible material that’s enables the lenses to conform to the eye shape. This makes the lens immediately comfortable compared to other types. In fact, they are the first in the market. Only after many people have taken to wearing them that others begin to emerge. Silicone Hydrogel lenses are the upgraded version of the hydrogel lenses but with more porosity. They provide higher oxygen transmissibility so that the cornea gets more oxygen unlike wearing hydrogel lenses. Gas Permeable lenses are rigid but also allow oxygen to pass through. They are not as comfortable as the silicone hydrogel lenses, but you can count on their fitness. They are fit close to the eye and are permeable, unlike the other types. This is why many patients have found them more comfortable than traditional hard lenses. Moreover, they are the best for astigmatic patients as they provide sharper vision than soft and silicone contact lenses. Hybrid lenses have the comfort features of hydrogel and silicone hydrogel lenses with plus they provide crystal clear vision like the gas permeable lenses. They are also the least used out of the list of lenses are. This is because they are more expensive to replace than others. And because they are difficult to fit, they don’t get as widely used as the other types. Many monthly patients experience decline in comfort throughout the month. A key reason for this may be a change in their contact lens hydration. If true, it can lead to lens-awareness which then causes discomfort. This insight led Acuvue Oasys to create the HydraMax Technology. This is a new non-coated silicone hydrogel formulation with better balance to maintain hydration throughout the lens all month long. The resulting new material is the basis of the ACUVUE® VITA™ with HydraMax™ Technology contact lenses. The company knows the importance of making lenses that deliver on the promise of reliability and comfort. It then put chemists who have developed other highly successful line of silicone hydrogel to work on the new formulation. The chemists end up changing the balance of silicone in the formulation, slightly increasing the hydrophilic type and reducing the hydrophobic type. This resulted in the incorporation of a maximum amount of pure long-chain PVP (polyvinylpyrrolidone) into the material while still maintaining excellent physical properties and clinical performance. The PVP material has both water-loving and lipid-loving parts just like the eye’s natural tear film. In addition to maximizing hydration in the ACUVUE® VITA™ with HydraMax™ Technology, the PVP helps to homogeneously integrate lipids throughout the lens thus giving a key view. As patients grow older, their eyes and lens need change. Presbyopia is a condition that often requires complex vision correction and precision. As your eye ages, the pupils become smaller, the crystalline lens stiffens, and tear volume decreases. Most multifocal contact lenses aren’t designed with all of these physiological changes in mind. Presbyopia requires an innovative approach in multifocal contact lens so that the lens is able to address the need of the presbyopic eye. Acuvue has developed new ways to innovate with a dedicated team of eye care professionals and optical design engineers to improve their lenses to better meet patient needs. The latest innovation from the Acuvue brand advances the technology of The 1-DAY ACUVUE ® MOIST Brand MULTIFOCAL. The design of this lens is based on several aspects of the human eye and visual system that affect vision. The lens was developed through the use of a model that integrates multiple components of the visual system including the ocular tear film, the anatomy of the eye, and most importantly, the pupil size and the visual pathway of the nervous system as well as how contact lenses interact with these elements. The data used as the basis for these models come from measurements of several thousand individual eyes, making it a very robust model. A complex computer algorithm was used to run simulations of the behavior of the visual system under different settings. Many of us now live busier lives lately; we are exercising, working, emailing, driving, cleaning, traveling, texting, and this is just a short list of what each day demands from us. Demanding days like this with an increase in activities and environmental shifts can challenge the stability of the tear film, causing symptoms of discomfort. Now, there’s a new one-day lens from Acuvue for your demanding days. 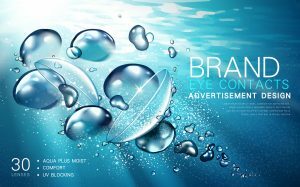 The ACUVUE®OASYS® Daily Contact Lenses with HydraLuxe™ Technology have a tear infused design that mimics the eye movement to help support a stable tear film with an enhanced network of tears like molecules and highly breathable hydrated silicone that integrates with your film each day. In fact, in a clinical trial, 8 out of 10 patients rarely experienced eye fatigue and maintain their feeling of comfort. This new lens was preferred by patients overall compared to a leading competitor and was also preferred for comfort vision and handling. The new one day Oasys contact has a new technology called Hydraluxe technology. Although that’s just a fancy trademarked term they made up, but what the technology does is that it integrates with your own tear film while you wear the contacts. What this does is that it helps to stabilize your tear film and reduces your symptoms of tiredness and dryness as well. How the company accomplished this comfort and easy handling is that they reduce the frictional energy which directly relates to dryness. The Air Optix Night & Day Contacts Lenses has one of the highest oxygen transmissibility of any available soft contact lens. These lenses now come with even greater insertion comfort and assurance for a clearer, whiter and healthier eyes. The Air Optix Night & Day Contacts Lenses also come with a unique biocompatible surface treatment that resists deposits to contribute to healthy lens wear. Thanks to a front surface designed to bring light rays to a precise focal point, these soft contacts optimizes lens comfort and fit for healthy wear as well as a controlled aberration for visual acuity. The lenses also have an inversion indicator and a visibility tint. This is as an upgrade to improve the overall handling and ease of insertion. The company, Air Optix, took a great lens and make it greater by adding the exclusive AquaMoisture system. This is so that you can now experience comfort on your contact all day, every day even overnight. A closer look at the AquaMoisture system shows a unique moisture agent binds to the lens surface to create a silky layer that helps the eyelid to easily glide over the lens for additional comfort. 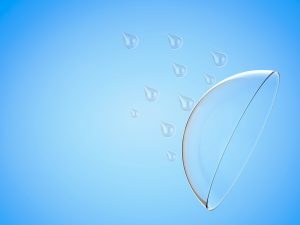 In addition, a patented lens material also helps in maintaining moisture by minimizing the rate of lens dehydration for comfort all day. And the ultra-smooth surface with superior wettability provides an everyday comfort which is a significant improvement over the original contact lenses. So, if you are wanting to sleep in your contacts or if your lifestyle makes compliance a challenge, you may want to try out the Air Optix Night & Day Contacts Lenses.